propagation - Sucs for You! It’s ready! Introducing ‘The Succulent Manual: A guide to care and repair for all climates.’ Become a member of the most thorough and easy to navigate interactive website on succulent care and upkeep around! Head over to The Succulent Manual to get started. Read on and watch this video to learn more about the manual and how to use it. 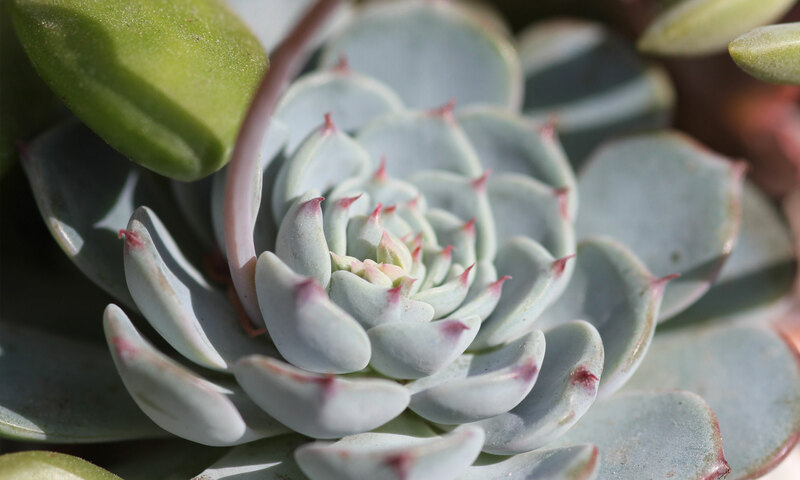 Learn how to repair succulents that have become stretched (etiolated) from insufficient sunlight, and those that have been damaged by sun, overwatering, etc. Demonstrating with an Echeveria subsessilis and Echeveria agavoides. One of the most common questions/complaints I used to have, and still hear from others (just about daily) is why some leaf propagations seem to be ‘underachievers’ with little desire to put out roots, let alone leaves. Sound familiar? Then read on! Simply put, most succulents are already slow-growers, and if the species we’re trying to propagate isn’t in its growing season, we’re in for an even longer wait to see any progress, if it grows at all. This applies to cuttings taking root as well. This doesn’t mean we shouldn’t try off-season propagation, but our expectations should be aligned with the seasons. Using my city and region as an example, Houston summers are hot, humid, and long, with short, mild winters, and we have a growing season that averages 300 days, almost double that of Indianapolis or Denver. So when learning about succulent care, please keep in mind that your location is a primary factor in determining what advice applies to you.